The post you’re reading is part of Book Riot’s observance of #BlackOutDay. We are turning our attention fully to issues facing black authors and readers with help from the folks at #BlackoutDay and #WeNeedDiverseBooks. Book Riot is grateful to have a platform to celebrate diversity and critically examine the book world every day, but today we have turned the reins over to our black contributors and guest contributors all working towards social justice and good books. Enjoy! Speculative fiction–the catchall term for literature that fits into distinct genres like fantasy, science fiction, and horror–has long been a place of refuge for readers who long to live in far flung futures, or who wish to explore alternate universes. The largest strength of speculative fiction, and its biggest draw, is that it allows readers and fans to become completely lost in its cultures, communities, and creations. The worlds created by speculative fiction authors can be radically different from our own, and are sometimes free of the mundane sociopolitical realism of this Planet Earth. Despite this, authors, fans, industry employees, and other proponents of the genre cannot completely escape these trappings. The lines between real and fictional worlds are very much influenced by the deep divisions between real world people who interact with the art. Bias and problematic political views slip through (when they weren’t already present to begin with), infecting these real world communities with discrimination and outright hostility to members of certain communities. No recent event illustrates this phenomenon more than the half-dead controversy surrounding the Hugo awards. This is an ironic position given the historically damaging treatment of marginalized people, specifically African American people, by the speculative fiction industry and its attendant fandom. Consider that one of the main participants in this movement referred to a popular African American speculative fiction author as a “half-savage.” Fans of this man claim to be ignorant of the racial undertones of the term, despite blackness’ repeated connection to savagery by heroes of the genre. The community itself, when it gathers, is often hostile to black people and the perceived upheaval of long held norms and traditions that the invasion of their blackness represents. Aggressions large and small are pointed like sharpened stakes at those African Americans who would dare attempt to penetrate this culture with their work, body, or interest. Gatherings and conventions of the larger fandom are often uncomfortable for African American creators and fans, and can be stressful to the point of anxiety. Our work is rarely celebrated, but we produce it despite the larger culture’s resistance to it. We push ourselves against the oppression with our words and effort. Why? Because we have always done so. African American literature has long contained a deep thread of dissent. In a way, African American literature itself is protest, as slaves and the descendants of slaves were often forbidden from attempting to master the language of their oppressors. 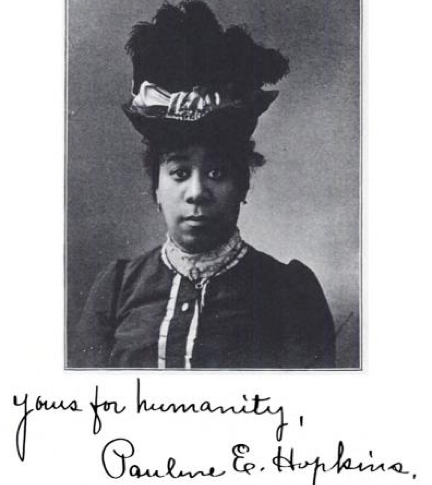 Historically, literature produced by African Americans served as a way of reckoning with their unique social situation, either through philosophical rumination, haunting memoir, lyrical prose and poetry or a purposeful, shocking address of the conditions that surrounded them. Consider the narratives of Frederick Douglass and Harriet Jacobs, who painted a vivid portrait of United States system of violence and psychological terrorism on the African American populace. Or, perhaps, Victor Séjour’s Le Mulâtre, or Martin Delany’s Blake or The Huts of America, both brooding fictional works of slave revolution. Faced with seemingly unending oppression and the constant threat of violence and death, is it any wonder that African American authors turned to the fantastic to assuage their weary souls? Like Séjour, Delany, and countless others, African American authors of proto speculative fiction heavily considered the future, the fantastic, and the scientific in their attempt to reckon with their present. Pauline Hopkins’ Of One Blood imagines a technologically advanced Ethiopia. Scholar W.E.B. DuBois’ The Comet imagines a post-apocalyptic future world populated by two people: an African American man and a white woman. Frances E.W. Harper’s Iola Leroy is a work of fiction that imagines an African American feminist utopia. Decades after these works, literary scholars spurred by “an interest in speculative fiction from the African Diaspora” turned to a new and different mode of expression, some of which was championed by existing African American authors of speculative fiction. The work of those authors dealt explicitly with the concerns of members of the African Diaspora contextualized within the idea of a rapidly approaching technofuture. The authors are recognizable: Samuel Delany. Nalo Hopkinson. Sheree Renée Thomas. Octavia Butler. The expression was called “Afrofuturism” and it intersected primarily with speculative fiction, often serving as a means of social and political protest of issues salient to members of the African Diaspora. Black speculative fiction authors who identified as Afrofuturists synthesized the early themes of futurism and necessary upheaval in the form of protest with the idea of a “future history” and deep appreciation of our unique cultures to create a revolutionary genre of literature, a genre that worked closely with and alongside other forms of black speculative fiction to remove the idea of black savagery and black catastrophe from our history, mythology, spacetime, and futurescape. Speculative fiction, or “visionary fiction,” as it is termed by Walidah Imarisha and adrienne maree brown, is all about alternatives. There is a familiar, tragic thread winding through the year of 2015. Physical and emotional violence against African American people is at an all time high. African American women, children, and men are being killed by police in the streets or in their custody. African American parishioners, in a strange twist on a deeply wounding act of racial violence, have been killed in their places of worship. This is a stark, dreadful reality that demands alternative visions, alternative universes, and radical imaginations. It demands that we work we create, if we wish it to have any lasting heft as tools of social justice, aggressively and holistically address the social ills that plague African Americans. With the specters of death, poverty, and inequality still surrounding African American communities, many African American creators of speculative fiction are illuminating their desire for change in the pages of their literature. The fiction in Octavia’s Brood: Science Fiction Stories from Social Justice Movements dares to imagine a world that is fair and equal to one of its most maligned communities. 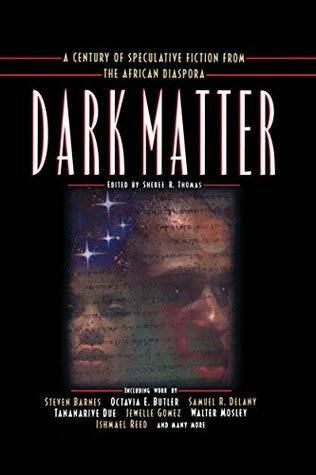 The stories in Dark Matter: A Century of Speculative Fiction From the African Diaspora , demand a reckoning. Fiction like Elysium, Who Fears Death, and The Liminal People show us that a new type of mythology is required for these alternate universes and futures and that #BlackLivesMatter in the midst of them.